The image of extreme sports has undergone something of a transformation in recent times, as activities such as surfing, rock climbing and zorbing have been embraced by a wider and more varied social demographic. No longer just exclusive to the confirmed thrill seekers among you, a range of extreme sports have made their way into the mainstream and emerged as more accessible past times. So what extreme sports are the most popular in 2012, and where are the best places in the world to learn or practice them? Surfing has become so popular across the globe that many people now do not even consider it to be an extreme sport, but by its very nature it is both challenging and thrilling in equal measure. While almost all seaside resorts across the world now have a strong surfing culture, however, it is the U.S. state of Hawaii that remains the best place for practitioners who wish to test their skills and experience the complete surfing lifestyle. The sports spiritual home, Hawaii is renowned as the destination where surfing originated before spreading to the coasts of California and beyond, and it remains a much loved pastime there to this very day. While surfing remains one of the most popular and historic extreme sports, there are others that remain fairly new to the scene. Base Jumping is a relevant and widely practiced example, and it entails jumping or free falling from 4 designated platforms which include a building, antenna, span or earth. The pastime is now into its third decade, and during this time the winter sport capital of Norway has emerged as one of the most scenic, popular and challenging destinations among participants. It is also home to some of the biggest base jumping drops in the world, and provides the ultimate thrill to experienced enthusiasts who are looking to push themselves. 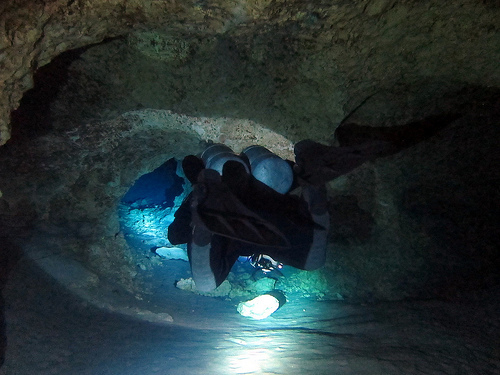 For those who have a real desire to test themselves, then the extreme sport of cave diving allows you to truly experience something unique and spellbinding. An extension of the widely popular activity of scuba diving, this extreme sport allows experienced practitioners to explore submerged alcoves and narrow passages beneath some of the earth’s most testing waters. The Peacock Springs State Park in Florida is home to some of the globe’s most thrilling underwater caves, and forces divers to navigate difficult and often tight spaces in almost total darkness. Not one for the faint hearted, it is ideal for any extreme sports fan who is looking for the ultimate physical challenge. It should be remembered that the world of extreme sports is an extremely fluid and malleable one, and a constant source of both innovation and evolution. Just as some sports evolve to create new and exciting variations, enthusiasts can also benefit from the development of entirely new activities such as zorbing. One thing that we can be sure about is that the extreme sports market and its popularity is continuing to grow, and be embraced by everyone from genuine thrill seekers to those who simply have a fascination with the outdoors. Lewis Humphries is a blogger who works as part of the Chillisauce adventure travel team. To discover more about the latest trends in extreme sports or relevant equipment, then visit the Chillisauce blog today. This entry was posted in Air Sports, Base Jumping, Europe, Florida, Hawaii, Scuba Diving, Surfing, Travel, Uncategorized, United States, Water Sports and tagged Base Jumping, Cave Diving, Florida, Hawaii, Norway, Surfing. Bookmark the permalink.